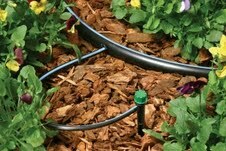 Drip irrigation systems can save time, water and fertilizer; while protecting delicate plants, flowerbeds, vegetable gardens, , shrub areas and more. 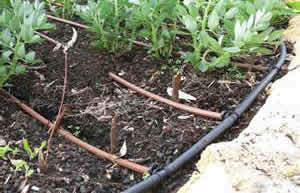 Drip irrigation allows water to slowly drip to the root of plants, either directly onto the root zone or onto the soil surface. 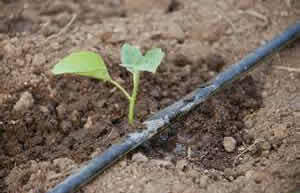 Drip irrigation, also known as trickle irrigation or micro irrigation, uses a network of valves, piping, tubing and emitters to allow water to drip slowly to the root of plants. 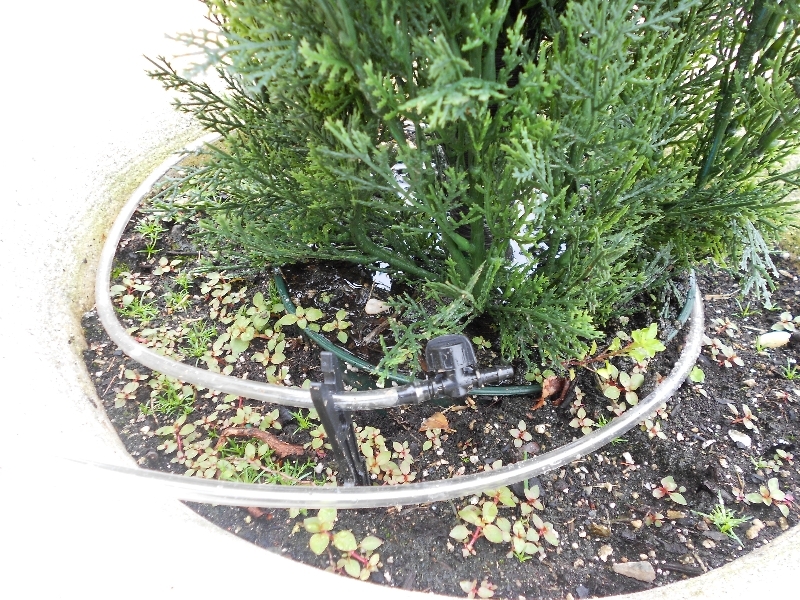 If properly designed, installed and managed, drip irrigation may help achieve water conservation by reducing evaporation and deep drainage. 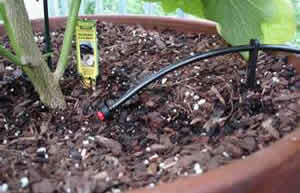 When compared to other types of irrigation, such as overhead sprinklers, water can be more precisely applied to the plant roots. 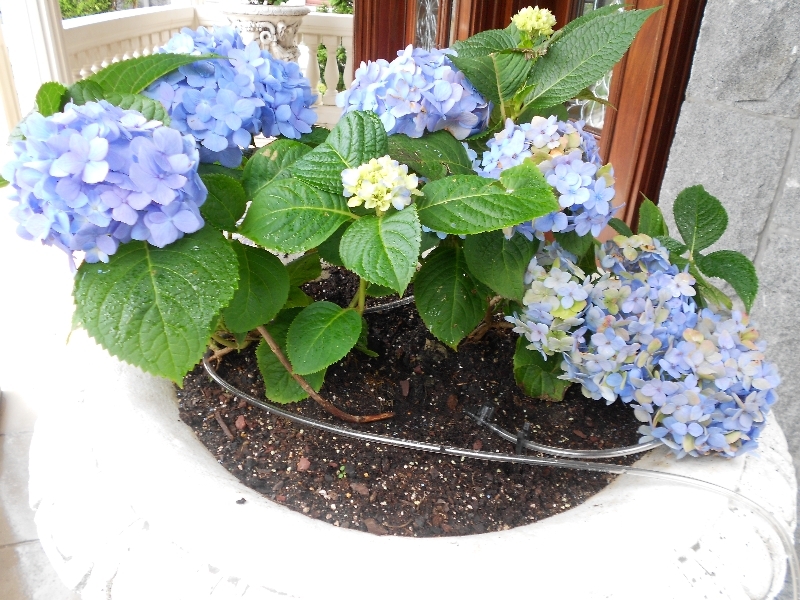 In addition, drip can eliminate many diseases that are spread through water contact with the foliage. Minimized fertilizer/nutrient loss due to localized application and reduced leaching. Moisture within the root zone can be maintained. 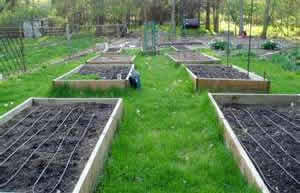 Soil type plays less important role in frequency of irrigation. 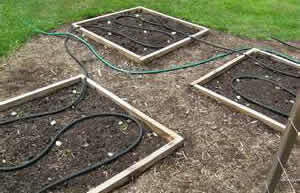 Highly uniform distribution of water i.e., controlled by output of each nozzle. 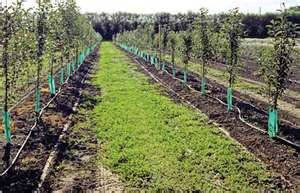 Usually operated at lower pressure than other types of pressurized irrigation, reducing energy costs. 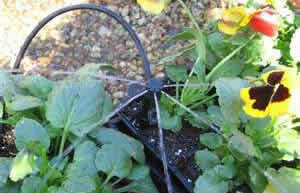 We use the finest Netafim products when installing drip irrigation systems. 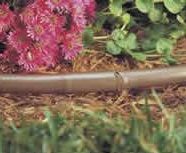 We specialize in drip irrigation systems for both small and large needs; from designing a system for a backyard garden or flower bed to design and installation of commercial drip irrigation systems for agriculture.